Stephen Silberman is an expert in antitrust and regulatory economics specializing in merger analysis, monopolization, price fixing, and damage cases. He has been retained by both defendants and plaintiffs in a broad range of industries, including computer hardware and software, broadcasting, health care, food and beverages, waste management, building products, aerospace, automotive products, insurance, and pharmaceuticals. Dr. Silberman has testified in federal district courts, in the U.S. Tax Court, and in arbitration and administrative proceedings. He has consulted on a variety of tax matters, including analyses of whether the transfer prices between foreign manufacturers and their wholly owned U.S. subsidiaries were consistent with arm's-length behavior. 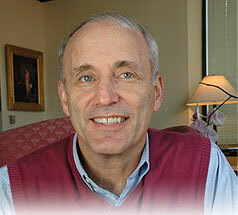 Before joining MiCRA, Dr. Silberman was a Vice President at ICF Consulting Associates. Previously, he spent eight years in the Economic Policy Office of the Antitrust Division, U.S. Department of Justice, first as an economist and then as the Assistant Director for regulated industries. At the Department, he participated in numerous investigations and worked extensively on litigation teams. In addition, Dr. Silberman was involved in drafting the Department's comments concerning the rule makings of other regulatory agencies, including the Federal Communications Commission, the Interstate Commerce Commission, and federal banking regulators.